More Letterkenny is coming to the U.S. According to The Hollywood Reporter, Hulu has acquired the streaming rights to four more seasons of the Canadian TV show. Seasons three and four of Letterkenny are set to debut on Hulu on December 27th. A premiere date for seasons five and six has yet to be announced. What do you think? Have you seen Letterkenny? Will you watch the new seasons on Hulu? More about: Hulu TV shows: canceled or renewed?, Letterkenny, Letterkenny: canceled or renewed? 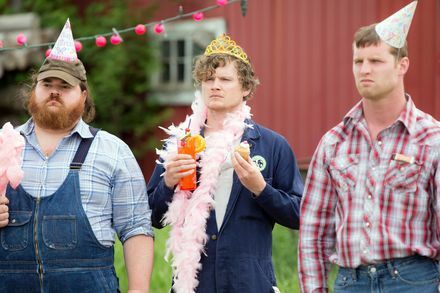 We need more Letterkenny on Hulu! Pitter patter! Love Letterkenny and need more!